Bold. Strong. Impressive. 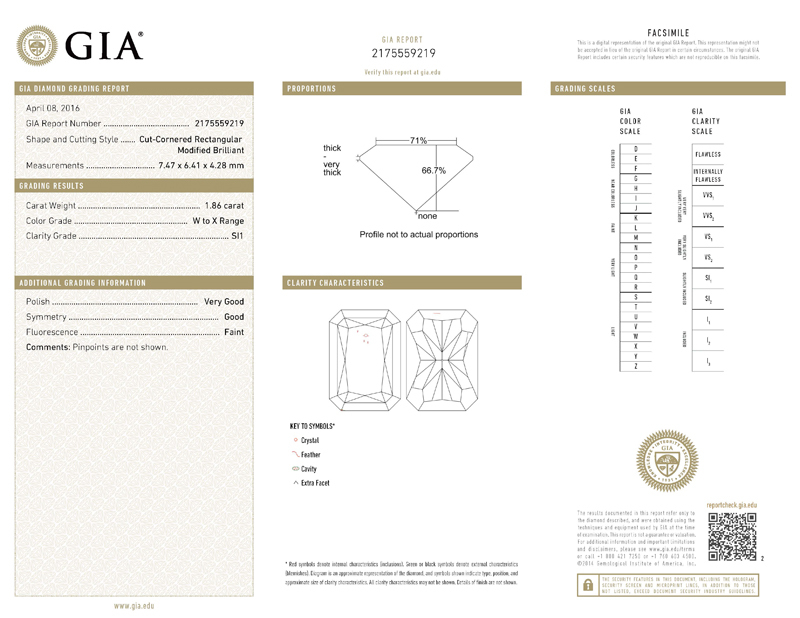 These are all adjectives to describe the shape of this radiant cut diamond. The proportions imply all this. The completely straight edges and trim corners. 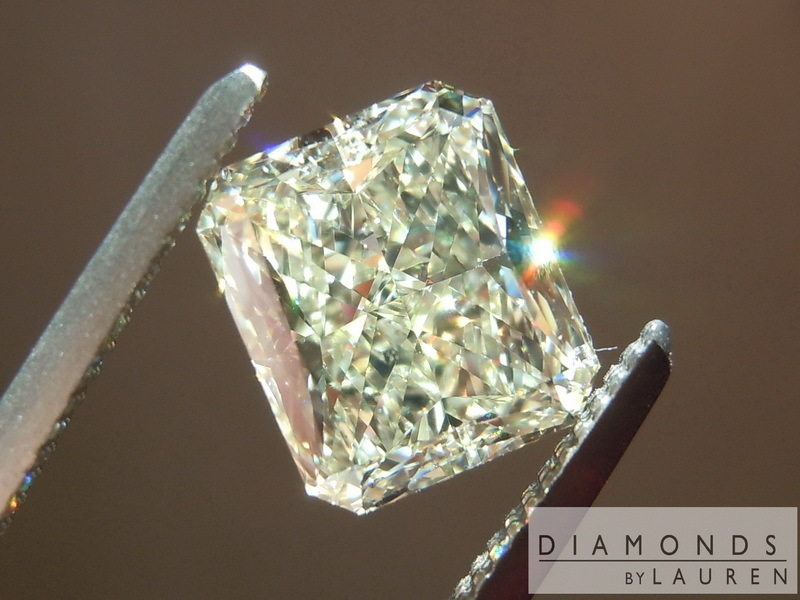 Suffice it to say, I love the cut of this diamond. 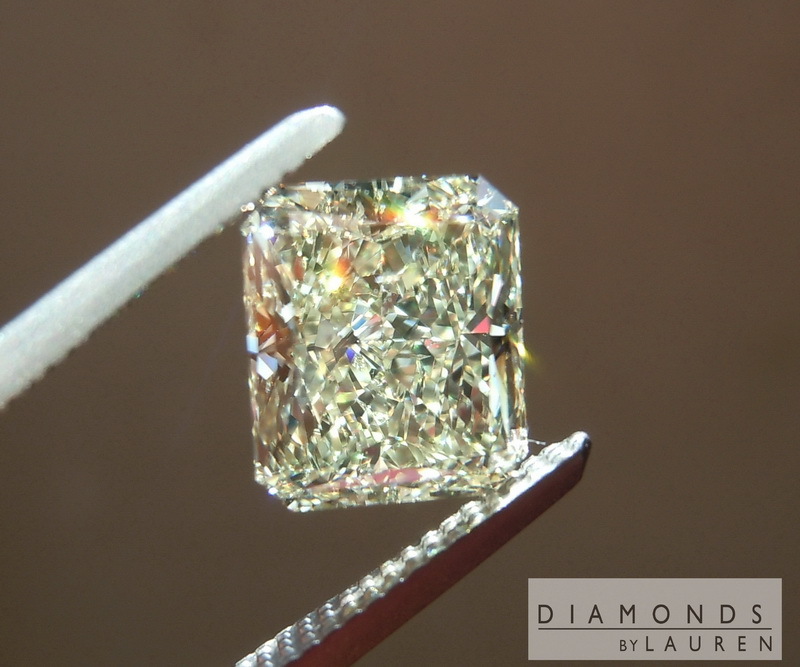 The light performance is classic fancy colored sparkling dazzle. In terms of that light fancy color – it is a light lemon yellow. Many of our clients prefer the lighter yellows to the more intense canary colors. When you look at the price, it's hard to fault that strategy. 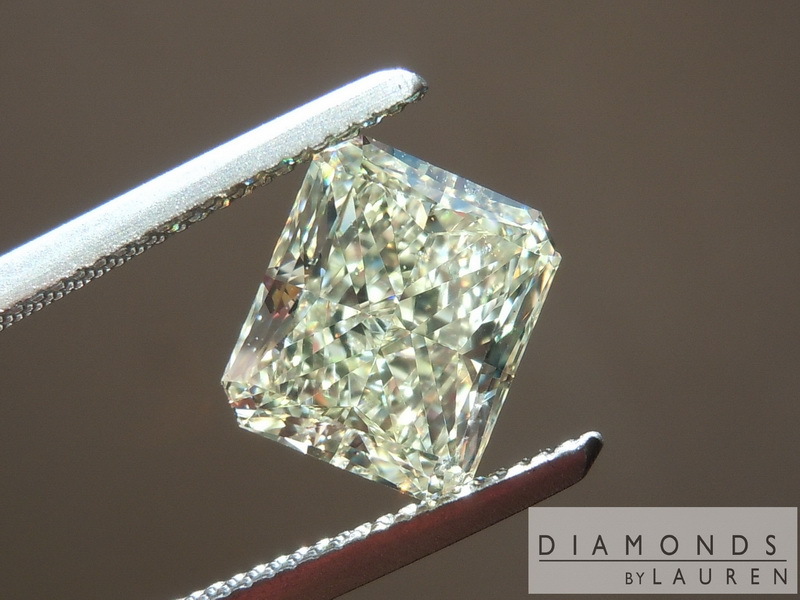 Although this diamond was graded SI1 clarity by GIA, it is totally eye clean – you can tell from these ultra close, close up pics. 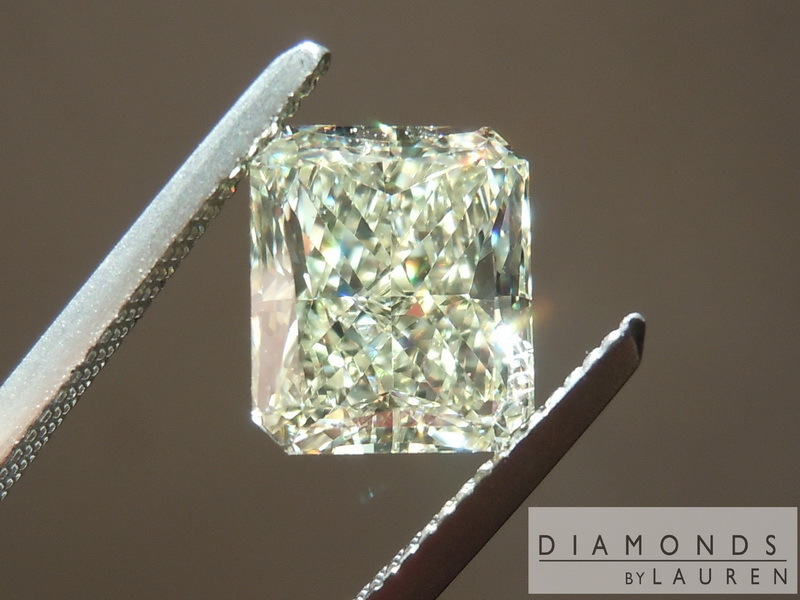 The stone will look amazing as a solitaire, part of a three stone ring, or in a halo.